Earlier this year, Family Channel announced that Victoria Bladesarra (Michelle), Brittany Raymond (Riley), Trevor Tordjman (James), Jordan Clark (Giselle), Lamar Johnson (West), Issac Lupien (Eldon), Jennie Pappas (Chloe) and Taveeta Szymanowicz (Thalia), better known as The Next Step cast would be going on a Canada wide tour in 2015. The twenty-one-city interactive dance experience proved to be a hit among fans as tickets sold out quickly. To meet fan demands, Family Channel and The Next Step have announced a fifteen-show addition to the tour. This now forty show tour takes off February 3rd in St. John’s, Newfoundland, and wraps up in Ottawa on March 29th! The Magazine: Fifteen new tour dates have been added to The Next Step Live On Stage Tour, which is amazing! What were you thinking when you realized just how popular the tour is? Victoria: Oh wow! It was ridiculous. I went online just randomly on Family Channel to see how the shows were doing and all of the sudden I saw all of these shows sold out! I was like “What? This is insane!” It hadn’t even been open for like a week. Trevor: I didn’t think I could get more excited, but that kind of did it for me. Just adding more shows! We were already pumped for the fact that they were already sold out because that is insane. We are really looking forward to it. The Magazine: What can people expect from The Next Step Live On Stage Tour? Trevor: They can expect to see some of their favourite dances that they have seen on the TV show. They can expect to see more new dances. All of it’s going to be very interactive so I think that they can really get to know us. So, I think it’s going to be a cool show for them to check out. Victoria: Yeah, there is going to be a lot of us compared to the mall tour. With the mall tour there was only six of us, but on this one there are eight of us. So, just the two more people add so much more. Trevor: Totally! Plus it will be a whole show. If you want to see us live this is the place to see us because we are going to have a whole show. Plenty of different dances, it will be great. The Magazine: As you mentioned, you did the mall tour last year and now the tour will be in theatres. How does it feel knowing that you can make this transition in just one year? Victoria: Oh yeah I know! It is crazy! It is insane. I know when we first heard about the mall tour and we were invited to do it, it was like “Wow! Really? People want to see us live?” Then we showed up at the malls and there were thousands of people. We were expecting a couple hundred. So we were blown away by the reaction. Then, we started hearing about a theatre tour and we just thought that the mall tour was only a year ago, how is this possible? It is insane to know that it has taken off like that. The Magazine: There will definitely be a lot of people there. Do you get nervous when you do performances like these? Trevor: I don’t necessarily get nervous. I just get a rush. You know what I mean? I get a huge adrenaline rush. You all of the sudden just jump from this high to just four feet high! It’s more so an energy thing for me and I just get really excited. Victoria: We are really used to performing and even on set there are nerves because you cannot mess up. Right? You don’t want to mess up. But honestly I think it is like what Trevor said. Just a rush. Trevor: Totally. Yeah. We have always been performing on stage our whole lives. Lately it has been a lot of film, so I am really excited to get back on stage because I haven’t been on stage or in a show for so long so I cannot wait. The Magazine: A lot of musicians have preshow rituals, as dancers do you anything that you like to do before you go out and perform? Trevor: Not so much. I don’t. Victoria: Well, I mean I kind of have my own personal thing where I talk to myself in my head depending on the performance. I know as a team we always amp each other up and huddle in and talk to each other about what we need to do. Trevor: Maybe we will make a ritual while being on tour together for two months. The Magazine: You are going across Canada, which is amazing! Is there any city you are most excited for? Trevor: I have been to Vancouver before but I just love the city so I cannot wait to get back to it. Victoria: I haven’t really been out west that much. I have been more out east, but I am excited. The Magazine: And you are probably excited to meet all your fans across Canada? Trevor: Meeting the fans is always great. I love to see their reactions and what they think of the show and what they have to say. I love to meet the fans. Victoria: Yeah, they are the most supportive. The Magazine: You will be on tour for two months. What are your must haves that you need to have with you while on tour? Victoria: I was actually just talking about this today. I love my sweaters so I will be definitely packing all my sweaters and my winter jacket. I am always cold. Trevor: Hmm, I haven’t really thought about this. I will definitely just need music for sure. On all the long drives and stuff I will listen to music. The Magazine: What are you most excited for about travelling across Canada with your cast mates? Trevor: It will be fun! Victoria: It will be awesome. Trevor: I think we will all get to see how we really live and are. We are together all the time, like everyday, but we still go home when we got to sleep. But now, it will just be us solely for two months with each other. Victoria: Yeah, I mean we try and get together as much as we can. We probably see each other once a week or something, but now we will be with each other for two months! Trevor: I am really excited to see how everyone really lives and stuff. The Magazine: We have a couple “Most Likely” questions about who is most likely to do what while on tour. So, who is most likely to stay up all night while watching Netflix? Trevor: Probably Isaac who plays Eldon. He is up all night anyways. The Magazine: Most likely to sleep in and almost miss rehearsals? The Magazine: Most likely to make a mess? Trevor: Oh, Isaac for sure! Definitely Isaac. The Magazine: Most likely to take the longest getting ready? Trevor: Lamar (West) too though! Lamar too! Lamar definitely takes his time to get ready as well. The Magazine: Most likely to annoy others by blasting their music while on the bus. Trevor: Oh that is Isaac. Victoria: Oh that is Isaac. Trevor: Isaac plays techno. Just boom boom boom. That is definitely him. The Magazine: We talked about so much great stuff, but what are you most excited for on this tour? Trevor: I just cannot wait to actually do the shows. Everywhere. I cannot just wait to be performing for a solid two months. I just love to perform. Victoria: Along with that, I am just so excited to travel. I love travelling. Trevor: And it is also going to be a whole new experience. We never toured across the country in a bus. Victoria: Yeah, and doing it in the winter too! There is sure to be some pretty sights. Make sure to catch Trevor and Victoria on The Next Step Fridays at 7:30 on Family Channel. Starring as James in the hit series The Next Step, it is obvious that Trevor Tordjman can dance and act. But, did you also know he is the founder of a company! Trevor, a real triple threat, is the director of Raw Motion Dance Co. Raw Motion Dance provides students dance conventions and in-studio workshops lead by Canadian chorographers and teachers. Amongst these teachers are some of the cast members of The Next Step. Registration is currently open for workshops in the new year! On January 11th in Toronto, and on January 15th in Kitchener, youth can sign up for a day of dance lead by Trevor Tordjman (James), Brittany Raymond (Riley), and other The Next Step cast members! The Magazine got the chance to talk with Trevor about Raw Motion Dance, the upcoming conventions, and when he first knew he wanted to have a career in dance. The Magazine: You are one of the founders for Raw Motion Dance. How did you come up with the idea to start this company? Trevor: Well, to tell you the truth, I would get hired a lot to go teach dance at studios, for dance studios, and do some choreography. I just thought why not while I am doing this, why don’t I try and build a name to this so I can also grow a business. Also, some of my other family members run a business. My mom runs a business and my older brother runs a business. It was kind of always something that interested me, so I kind of just always indulged myself into it and then it just started to evolve from there. The Magazine: How would you describe your company Raw Motion Dance? Trevor: So, Raw Motion Dance, we basically go and get a big convention centre and kids can sign up online, or we can help them with the process through our email. Basically, they sign up and come for a full day of dance. So they take classes from all of our faculty members. Our faculty members are our choreographers and a lot of them star in the series The Next Step. We have JORDAN CLARK who won So You Think You Can Dance. We also have EVERETT SMITH who also was on So You Think You Can Dance. They sign up and they take classes in all different genres. We offer classes in hip hop, contemporary, jazz, and then we have a little special segment where they can choose which kind of style they want to take and that includes tap, broadway and jazz funk. Also within the day, there is a little meet and greet so all the kids that signed up can meet all of the teachers and get their picture taken, and get an autograph. At the end, we have a little award ceremony for the kids that stood out. Everybody is welcome. You know, anybody from ages five, six, all the way up to eighteen. The Magazine: You started dancing at the age of four at your mom’s studio, but when was the moment that you knew dance was what you wanted to do? Trevor: To tell you the truth, I got very inspired by my cousin who was a hip-hop teacher at the time. So, it wasn’t until about twelve when I started to learn all these crazy cool breakdancing moves and I started to pick up the choreography, that hey this is something that I really love to do. So it wasn’t until about twelve or thirteen that I realized how much I love dance and then from that point on I just started working as hard as I possibly could. The Magazine: As you mentioned earlier, a lot of the faculty members are from the show The Next Step. What is it like working with them off of set? Trevor: To tell you the truth, we are all such good friends so they are already such cool people. But also, it is unbelievable how amazing their choreography is. Not only are they great dancers, but they are great choreographers. So, part of my motive beginning this convention is I really wanted to showcase that. We all do a lot of choreography and I really want people to see that. Working with them more outside of set and more into the dance industry and convention world is amazing. I love it. The Magazine: You have two dance conventions coming up in January, one in Toronto and one in Kitchener, what can people signing up for that expect? Trevor: They can accept a wonderful, super fun day full of dance. They can also expect to meet all of our faculty members who once again star in The Next Step, and star in So You Think You Can Dance in the past season. It will just be so much fun. A day to remember for sure. The Magazine: What is your advice to those who may feel that aren’t the best dancer, but still would love to attend? Trevor: Well my advice for them is even if they still want to come out, we have different levels of dance within the convention. So they sign up for a level that they feel comfortable in. To tell you the truth, it is a bunch of kids at all different levels, and it is just mainly to have fun and to push your comfort zone a little bit. If it is challenging, in my eyes, that is a great thing. As long as you are having fun, and constantly improving because it’s challenging, I don’t think it is a bad idea at all to sign up. The Magazine: The cool thing about this convention is that you get to meet your fans one on one. What is it like when you get to meet your fans that way? Trevor: I love to meet all my fans! They always have such great things to say, and I love the fact that they are finally getting to meet us and kind of fulfill their dreams. It is so unbelievable to them, and to us it is so great to have them support us with everything we do. I love to just talk to them and see where their head is at. The Magazine: You yourself will be teaching some dance at the convention. Is there any songs you currently love to dance to? Trevor: To tell you the truth, that new Bruno Mars song. I love that song. Don’t believe me just watch! Yeah, that one! EXCLUSIVE Interview with FAMILY CHANNEL’S STAND UP! Rally Hosts ALEXANDRA BEATON and JENNIE PAPPAS! November is bullying awareness month across Canada, and this week Family Channel will be holding its annual Bullying Awareness Week. From Monday November 17th to Sunday November 23rd, Family Channel will be airing an entire week of anti-bullying dedicated programming. This year, viewers can be sure to see new bullying-themed episodes of a variety of show, PSAs and messages from their favourite stars and musicians, and exclusive footage from this year’s Stand UP! rally. The Magazine got the chance to attend Family Channel’s Stand Up! rally at St. Brendon Catholic School in Scarborough, Ontario. Maya, a Grade 5 student, submitted her entry to Family Channel after watching pervious Stand Up! rallies on television. “I wrote about what our school does to stand up and how we are one big family. We have yard monitors, we have the golden rule, which is to kind of keep your hands to yourself, and we have other things that we do,” Maya tells us about her entry. The rally was hosted by The Next Step actors and dancers Alexandra Beaton and Jennie Pappas, who play Emily and Chloe respectively, and was kicked off with an exclusive screening of a bullying-themed Austin & Ally episode (The episode will air on Family Channel Friday November 21st at 6:30PM). The episode was followed by a question and answer session with a PREVNet representative. PREVNet (Promoting Relationships and Eliminating Violence Network) is a network whose message is to stop bullying in Canada. The presentation featured facts about cyber bullying and where to seek help. The next speaker at the rally was Jason Colero, a community representative who works with The Argos. Jason shared his experience of being bullied and the obstacles he was able to overcome. The rally concluded with a Stand UP! dance party to this year’s Stand UP! song “I’m Ready (Stand UP! Edit)” by Canadian pop-rock band Eleven Past One. After the rally finished, The Magazine got the chance to sit down with its host Alexandra and Jennie to talk about the rally and what they are looking forward to on the future dates. The Magazine: What is the Stand UP! rally? Alex: The Stand UP! rally is a rally that Family Channel holds annually, which is yearly. It is basically promoting standing up to bullying which is obviously something that is amazing. Jennie: Different entries from all over Canada got to enter the contest and we chose four winners. We now get to go and do an assembly at their school, and bring in some community people who have been working all year to prevent bullying and other special guests too. Alex: It’s amazing because it kind of brings in the whole community aspect of it and it kind of engages everybody and let’s the kids know that there is always somebody there to listen. The Magazine: For those who may be experiencing bullying what is your advice for them? Jennie: I would say you are not alone so don’t be afraid to talk anyone. Even though it is hard, I would say confide in people and everyone will want to help you out for sure. Alex: I would have to say the same thing. Don’t keep it to yourself. There are people who are going through the exact same thing or at least something very similar, and tons of people want to help you. So reach out and stand up for yourself, and stand up for everybody that is also going through that situation. The Magazine: So this is your first rally of four, what has been your favourite thing so far? Alex: Jason from The Argos! Yeah, he was awesome and he told such an inspirational story. I think it is good for the older boys especially to hear that kind of message, especially from someone involved in such a masculine sport because boys get bullied too. It is a lot harder for them to come forward, not that is not hard for females, but because boys are taught to be so masculine it is hard for them to come forward and say that someone is hurting their feelings. The Magazine: What are you most excited for the upcoming rallies? Alex: I think just spreading the message and meeting everyone. It is nice that we can take these photos with everyone and have a one on one message with them. Jennie: I would say getting to travel is going to be really cool and just getting to meet people all over Canada who are just here for the same cause, and they all want to accomplish the same thing. Alex: I am so excited that Jennie and I are doing this together, because it is a cause that is close to both of our hearts. It’s a thing we have talked about tons on set and how we both would like to get more involved in it. I think that this is a great opportunity. Thanks Alex and Jennie, and thank-you Family Channel for having us. Tune into Family Channel all week for anti-bullying episodes and content. On Friday November 21st at 6:30PM The Next Step stars Alexandra Beaton, Jennie Pappas, Lamar Johnson, Brittany Raymond, and Trevor Trodjman will be taking over Family Channel and hosting A Night To Stand UP! For. Make sure to check family.ca for full episode listings and times! With close to 1.5 million video views, Matthew Watts is a YouTuber you need to have in your subscription list. Posting weekly videos, Matthew Watts has eighty-two uploads with content ranging from how-to videos to testing out popular apps. Matthew has recently made his channel more interactive by looking to viewers for feedback on what to upload next. Tweeting out three options, Matthew lets viewers vote on what idea they would like to see made into a video. Matthew’s goofy and outgoing personality earns him 18.5 thousand subscribers! To top it all off, Matthew is not only Canadian, but he used to read The Magazine as a kid! The Magazine got the chance to chat with Matthew and create our own “episode” of #ASKMATT. He tells us all about creating his YouTube channel, who he is most excited to see at Buffer Festival, and the history behind his channel name VivaLaWatts. The Magazine: How would you describe your channel to someone who hasn’t viewed your videos before? Matthew: I think I would say I am a vlogger that makes comedy videos about anything that I find comedic or entertaining, whether that be an app, or a topic, or yeah…that is how I would describe it. I don’t even know how I would describe my channel actually. It is like a mix of everything. The Magazine: How did you come up with the name VivaLaWatts? Matthew: So, one of my favourite TV Shows was Viva La Bam, I am not sure if you are familiar with it or not. It was with this skateboarder Bam Margere and I really, really liked it so when I was trying to come up with a channel name, I thought I really like this show and my last name is Watts. So, I am just going to swap out Bam for VivaLaWatts, and that’s how I came up with it. The Magazine: This is your second year at Buffer Festival. What is your favourite thing about the event? Matthew: I really like that it is a different experience than other festivals. It is a screening, and it kind of showcases people’s content rather than them. You get to see people in a different way. It is not a big meet and greet, you are really focusing on content and showing off people’s hard work, and their efforts and you get to see it on the big screen! The Magazine: Is there someone you are most excited to see at Buffer Festival? Matthew: I am really excited to see Rhett and Link. I am really pumped to see their screening. The Magazine: What are your favourite videos to make? Matthew: I really like app videos. I like finding fun and goofy little apps to play with and then kind of experimenting with them on camera and having fun with them. I like showing people the fun that they can have with these apps. The Magazine: Halloween is coming up, what are you planning on dressing up as? Matthew: Oh, I found an inflatable unicorn costume that I really want to buy. Basically your legs become the unicorn’s legs. So I am considering that. Maybe? I don’t quite know yet. But, yeah, an inflatable unicorn. The Magazine: What advice do you have for our readers who may want to start their own channel? Matthew: Just do it. Just dive into it. You don’t have to have a plan. You don’t have to know what you want to do. Just start posting stuff and it will come to you. Make sure to check out his channel VivaLaWatts yourself, and don’t forget to subscribe. EXCLUSIVE Interview with Corey Vidal! Buffer Festival, a three-day event that applauds YouTube content, is celebrating its second annual run through this weekend. Taking place in theatres across Toronto’s entertainment district, over one hundred YouTubers from around the world will be spending October 17-19thin Toronto to premiere new videos, and celebrate content created by others. YouTubers will premiere new, and never-before-seen content at 90-minute-screenings followed by two hour meetups where Youtube content creators can meet with their viewers and screening attendees. Amongst these YouTubers are Jennxpenn, Charlieissocoollike and JacksGap. With multiple sold out screenings, the second year of Buffer Festival is sure to be a hit. One of the people to thank for this awesome event is Corey Vidal. Canadian YouTuber Corey Vidal wanted to create an event that would allow YouTubers to share their content in a film-festival-like-way. The Magazine caught up with Corey who told us more about Buffer Festival and his favourite aspect of the three-day event. The Magazine: How would you describe Buffer Festival? Corey: If somebody wasn’t aware of Buffer Festival at all, I would tell them that it is the YouTube version of the Toronto International Film Festival. It is based off of the Toronto International Film Festival but instead of films, it is YouTube videos. We have a bunch of theatrical screenings. They are like a movie length, about an hour and a half, but instead of watching one long video, you are watching a bunch of short films. Those can be action stuff, comedy stuff, sketches, educational stuff, vlogs. There is a lot of different types of content, but it is all about watching shortish videos but up on the big screen. Really high quality stuff. The Magazine: This is its second year that Buffer Festival is taking place, how has it grown and changed since last year? Corey: It is a lot bigger this year. There are a lot more YouTubers coming and it is more international. There are a lot of filmmakers coming from the United Kingdom, a lot of filmmakers coming from the US. When we threw it last year, I could tell that nobody really got it before it happened. No one really understood what it was. There really isn’t any event like this in the world. There are all kinds of YouTube events, but they are conventions and conferences and stuff like that. Those are great, but I really felt like there was a place for a film festival. This year, all the filmmakers get it. They put a lot of work into their videos. They are excited to premiere it on the big screen. We have seen what these really high quality videos look like on the big screen and it looks incredible. The Magazine: How did you first come up with the idea for Buffer Festival? Corey: I am from Ontario and I go to the Toronto International Film Festival every year and I love it. I love film. I remember specifically in 2011 I went. I went to a couple red carpets, and I went to a couple premieres, and I met a couple actors and it was incredible. It was such a cool experience. I remember seeing the director of the movie 50/50. He premiered the movie and he had never watched it like that before. All the cast was there, all the actors and actresses, and they had never watched it like that before. I was watching him right when the movie finished, and it was such an incredible experience for him. I walked away from the Toronto International Film Festival saying to myself “Why doesn’t that exist for YouTube?” We are not making Hollywood pictures, but we are putting crazy work into these videos. It drives me nuts when I make a really high quality video and someone watches it on their phone. Ohh, it breaks my heart! You could watch a Hollywood movie on your phone and you would get it, but it is not a theatrical experience or watching it on Blu-ray at home really loudly and YouTube is kind of missing that. But, I think the quality is there. We have proven that the fans are willing to come out. We have sold out a ton of shows already. The Magazine: What is your favourite part about Buffer Festival? Corey: The screenings. For me, there is a lot going on and you can have red carpets, and you can have meetups and you can have panels and you can do all kinds of cool activations and parties, but for me getting in a theatre with friends and having popcorn and pop and the buzz before the show starts, and the lights dim and it goes dark, and something comes up on the screen. Man! That is one of my favourite feelings in the world! I love it! I go to the movies all the time. It is my favourite thing to do. That experience around YouTube videos is so great. To play a video and hear five hundred people laugh in unison. If you are watching something by yourself at home you may chuckle and think “oh, that’s funny,” but being in that big room filled with that energy, it is a completely different experience. The Magazine: Your most popular video to date is your Star Wars Acapella Tribute, which has over 19 million views! How did you get the idea for that video? Corey: You have to kind of go back to the earlier days of YouTube. There was a time where making a lip-sync video was popular. That was a thing, a really long time ago! I thought, what would it look like if somebody made a lip-sync video to an acapella song. Now, I am a really big Star Wars fan. There was the Star Wars song I really loved and I reached out to the acapella group telling them that I wanted to do a lip-sync video to their song. They totally supported it, and sent me the four parts, and helped me memorize it. I put up the video, just as a lip-sync video and I didn’t expect anybody to think it was me singing. I also didn’t expect anyone to see it. I thought maybe a couple hundred people, maybe a couple thousand people and that was it. It wasn’t really a serious thing but it got featured on YouTube and YouTube put it on their Canadian homepage. A couple days later they put it on their worldwide homepage and it got a ton of views. A bunch of companies reached out to me, marketing agencies and advertising agencies and sponsors and from there people discovered my other YouTube videos and I had dozens already uploaded. That lead to a lot of other opportunities and I told myself that I did not want to be a one hit wonder. I was not going to do another acapella video like that, because it is not me singing. I am going to take this opportunity and use it to make cool short films and skits and interactive videos and I am going to go pursue that. And I did! Across 2009 and 2010 I did that by myself and in 2011 I started a company. We do a lot of big projects and Buffer Festival is now our biggest. The Magazine: As you mentioned, you are a big Star Wars fan. What was going through your head when Star Wars tweeted about Buffer Festival? Corey: My team and I made a video with Lucas Film this year. They actually reached out to us at the beginning of the year, looking for YouTubers to make content to go along with the announcement of the cast of Star Wars: Episode VII, which was leading up to a holiday Star Wars celebrates every year which is May 4th. They say, “May the 4th be with you.” They asked if I had any ideas, and I pitched them an idea and they flew my team and I to Burbank, California and we shot on the sets of Star Wars. It was awesome! While I was there we talked about them wanting to do a lot of YouTube stuff and I told them about Buffer! They thought it was really cool and asked who does that. I was like “I do!” I was like selling myself to them but they were interested and we talked about it for months and months and they decided to come and have a screening. There is a Star Wars screening October 17th at 8:00PM showcasing Star Wars fan films. I worked with Lucas Films very closely to pick a bunch of videos that are very popular fan films and a bunch of YouTubers are premiering a bunch of new videos specifically for the Star Wars screening. Tickets are still available for screenings at this year’s Buffer Festival. Click here for more information. With 2.75 million subscribers, Canada is proud to claim Matthew Santoro as our own YouTube celebrity. Former content consumer, Matthew has shifted to the role of a content creator by posting weekly videos. His weekly videos are both educational and comedic. Counting down ten things each week, Matthew’s video titles include “The 10 WEIRDEST Dinosaurs You Never Knew Existed” and “10 Fictional Places That Actually EXIST”. In the least year alone, Matthew’s audience has grown from thirty thousand subscribers to 2.75 million subscribers! The Magazine got the chance to sit down with Matthew Santoro to talk first joining YouTube, and to create an interesting fact list of our own! The Magazine: What made you first start making YouTube videos? Matthew: In 2010, I started watching various YouTubers. After watching them for a while, I realized that these weren’t people making one off videos. These were people making weekly, bi-weekly or sometimes even daily videos. They had gathered an online audience, and they had fans, and they were Internet famous. I just thought that was an amazing thing. What really turned me on to it was that these are just regular people who are making videos from their apartments in some cases. That really intrigued me. My whole life I have always enjoyed being a goofball and entertaining people, so I thought you know this is my chance to do this and if they can do it, I can do it. So I started doing it. So, just over four years later, here I am with YouTube as my full time job. The Magazine: How did you come up with the idea to post lists of interesting and shocking facts? Matthew: I have sort have always done lists. I always enjoyed that format. I think it’s a format that is easily digestible. People understand it and know what they are getting into. What made me just get into it was that it is just a nice clean way of presenting information. The Magazine: We thought could make our own list, 10 Interesting Facts about Matthew Santoro? Matthew: Okay, we can do this! The Magazine: You will be showcasing a video on Sunday here at Buffer Festival that features YouTubers Rhett and Link. What can fans expect from that? Matthew: How did you know that? Ahaha! I will be premiering a video. It will be number 10 of my 50 Amazing Facts series, and Rhett and Link will be alternating reading the facts with myself. The Magazine: What has been the most surreal moment for you so far? Matthew: The biggest thing that happened to me through my YouTube career that really made me go wow actually had nothing to do with being on YouTube itself. It was actually this year. I was at the Just For Laughs Festival and this was the first year they invited YouTubers to be a part of the event and were kind of bringing traditional comedians with online people together. I met Russell Peters at a party, and he knew who I was before I met him. I met him and he stood back and said, “Hey, it’s the list guy!” He took a Instagram picture with me and everything! He gave me his number and we are going to be working together in the future, which is super exciting. That is the biggest thing that comes to mind. That was the moment when I was like “Wow, a lot more people watch YouTube videos then you might realize. Even famous people!” When somebody I have always watched and looked up to and thought was hilarious knew who I was and watched my content…that just blew my mind. The Magazine: Your 100th video was a massive collaboration. If you had to pick one YouTuber to make a real full-length collaboration with, who would it be? Matthew: One person? Oh boy. Actually, my first thought would be Epic Meal Time only because I have always wanted to work with them and they are Canadian boys. I think it would be a great mix. That would be the male side of it. If I had to choose a female, Jenna Marbles. Matthew will be premiering an all-new video featuring YouTube stars Rhett and Link at Buffer Festival. If you cannot make it to the event, expect to see it on his channel soon. It’s been three years since Family Channel first introduced Canada to pop-rock band R5. Since then, fans have been able to watch siblings Riker, Ross, Rocky and Rydel Lynch, and family-friend Ellington Ratliff grow and mature into the musicians they are today. This year alone has been crazy for R5! Having toured the world, released an EP, and created a music video for their new single “Heart Made Up On You,” it’s a mystery if any of the members of R5 got any sleep…but we are not complaining! R5 made eleven stops in Canada on their 2014 Louder Tour earlier this year, and turned that number into twelve when they stopped in Toronto last Tuesday for the only Canadian date on R5 Live on Tour. In between the two tours, R5 released the Heart Made Up On You EP, which serves as a teaser for their new sound and second full-length studio album. Leaving a solely pop sound behind, this EP is sure to get R5 fans, new and old, excited for the full length album that is set to release in 2015. The Magazine got the chance to sit down with Riker, Ross, Rocky, Rydel, and Ratliff before their show in Toronto to talk life on tour and the making of the Heart Made Up On You music video. The Magazine: How has the tour been so far? Ross: It’s been going really really well. The first bit started off a little slower because I was a little sick, well for me personally. Rocky: It was great for me. Ratliff: The rest of us killed it. Ross: There is always something nice about being sick on the road because you can always look forward to getting better. Ratliff: That is true! It’s like a murder mystery. Oh shoot it got Riker! Ross: The tour keeps getting better and better. Every night we will look at our show and look at the weakest section, and we’ll fix it and make it better. As the tour goes on, it gets better. We like to change it up too. Change the set. The Magazine: You released a new EP this summer called Heart Made Up On You. How was it working on that album? Ross: That was a lot of fun. Riker: It was good actually, yeah. Ross: It was the most fun to actually record it. The Magazine: You have written the music off this EP. Do you have a favourite song, or a song you relate to the most? Rydel: My favourite is “Easy Love” because as soon as it starts it is just right there. First listen and I feel like everyone will love it. We even put a little surprise in there for the fans, and it’s hilarious. Riker: “Stay With Me” I can probably relate to the most, but my favorite is probably “Things Are Looking Up”. Ross: To listen to I like “Stay With Me” and to perform I like “Easy Love”. “Easy Love” and “Heart Made Up On You” actually. It’s beginning to be really powerful live actually. Rocky: I think I like “Heart Made Up On You” actually as a song. Ratliff: Did anyone say, “Stay With Me”? I like “Stay With Me”. The Magazine: You were busy this summer! You also released your music video for Heart Made Up On You. How was it working on that? Riker: It was unbelievably hot. Ross: And every other music video was unbelievably cold. We cannot get good weather. Rydel: It was the hottest day ever and I had these leather heels on. The sun was soaking through my boots and my feet were burning. Ross: The nice thing about this music video, is what Riker said earlier, is it was a departure from Louder, which we liked. We have always been ones who enjoyed music videos that do have more of a story and more of a narrative. Rocky: There is something different. Rocky: You can watch it. Ross: …rather than just interesting visuals…. Rocky: You can touch it. Riker: We went out to make more of a short film than a music video. Ross: It worked out. We are really happy with it. The Magazine: What has been the most memorable moment on tour so far? Riker: On this tour, every night we do this thing called bus hopping. Rydel: Each bus has a different vibe. Riker: There is a different kind of party on this bus and then there is a different kind of party on this bus…and then the third bus is a movie, and everyone is asleep. Ross: …which is our bus. Rocky: And they are all parked right next to each other. Ross: So if you don’t like this bus, you just go to the next bus. Rydel: Our bus is like our mangers watching a movie. It is calm. You can read a book. Then like, Brandon and Savannah’s bus is a rave. Then the crew bus is like chatted up. Riker: There are all these different things going on. That has been the theme of the tour. Bus hopping. The Magazine: Favourite place you have travelled to? Ross: Toronto! What? I am serious! I like Toronto. Riker: Honestly, I like Canada. There is so much hockey. You can go into anywhere and just watch hockey. We went somewhere in Montreal, it was literally a dance club, and there were hockey games going on. Ross: I loved it. I am moving to Montreal. R5 will be back in Toronto, Canada Thursday October 2nd to perform at this year’s We Day! You can catch their performance, and the entire show online at www.weday.com. You probably have had the song Cool Kids stuck in your head at one point or another this summer. The people behind this catchy song are Echosmith. Made up of siblings Sydney, Jamie, Noah and Graham Sierota, Echosmith is an alternative pop band from California. Echosmith travelled to Canada for the first time to perform at the finale of YTV’s The Next Star. The Magazine got the chance to sit down with Sydney, Jamie, Graham, and Noah to discuss what qualities they think make up The Next Star and the response they have been receiving for their song Cool Kids. The Magazine: This is your first Canadian TV performance, how did you go about preparing for it? Sydney: We are eating lots of Ketchup chips, because that is what you would naturally do in Canada apparently. We are really excited because this is our first time doing something like this. We have done live TV before, but you know when you go to different countries it’s a new experience every time no matter what. It’s really exciting and we are kind of just prepping mentally I guess. It is just like a normal show, you only have one chance. Even though it is live and everyone gets freaked out, you only have one chance when you are doing a concert performance anyways. You know what I mean? We just see it as a normal show, and treat the fans as if it were a normal interaction rather than just some TV show. The Magazine: What qualities do you think make up The Next Star? Noah: A good voice, usually that would help normally. Sydney: Yes, talent is a thing. Noah: A good song helps as well. Sydney: Yeah, being yourself even if you are on a TV show and there are a lot of opinions on you. It is important to still have your own look, and sound the way you want to sound. It is okay to figure it out, and try things out, but you still want to stay true to who you are as an artist. Otherwise, you will get lost in the shuffle of the millions of artists in the world. The Magazine: How would you describe your sound? Sydney: Right now we would say alternative pop. You can even just look at our influences and get the idea of our sound, which are The Smiths, and Joy Division, and The Killers, and Coldplay and U2, and lots of others. Even if you look at those and you can kind of hear a little bit of that in the music. The Magazine: You are a fairly new band in the mainstream scene, so can you introduce one another? Sydney: Graham, he is the drummer. Girls love him. He plays drums. He has a fantastic memory. If we forget what time something is at, or where we are going, he will remember everything. He is our calendar when we don’t have a phone. Jamie: Sydney is our singer. She is very talkative. Her favourite movie is Anchorman 2. Sydney: Okay Noah. Noah is our bass player. He is very tall. He is obsessed with H-Chews, the candy; apple flavour only. Jamie, he plays guitar. He usually consistently has a beard, a little bit of a beard. He can figure out basically anything if he wants to. He knows how to make leather bags now. Who knows how to do that? Nobody. The Magazine: Cool Kids was featured on the Billboard Hot 100. How has the response for the song been? Sydney: It’s been amazing. I mean, we put out that song over a year ago. It is amazing to see the traction that it has gotten even just recently. I think that the reason why this song is really working is because we wrote this song not with the intention of it being a hit. It was because we related to it. Everybody does at some point. Everybody has that longing to fit in or to be like somebody else at some point, whether you are a kid or not. We wrote that song because we have felt that way at different times. Other people are relating to it to. When you are real with your songs it’s more likely people will connect with it on a real level. The response has been amazing, and people are really connecting to it on a deeper level then oh you know “I like singing this song” or things like that. It is really helping people out as they go through their days and things like that. It has been amazing to see what has happened with that song. The Magazine: Have you received any celebrity response that has left you starstruck? Noah: There have been a few! What’s his name? Riff Raff, the rapper who is on the Katy Perry song, he did a Vine of him in the car holding his phone and singing along to Cool Kids. It is the greatest. Sydney: He did that and he had something like pink dreads. I met Taylor Swift and she already knew our song and she told me she relates to it. That was awesome. There have been a few other people. I think Katy Perry was number one. The Magazine: You are obviously all siblings, but how did you decide to come together as a band? Jamie: We all grew up playing music and just kind of grew up in a musical family where instruments we all over the place. We all just got drawn naturally to the instruments that we play and we never thought of starting a band or doing that thing. We had all the pieces and all of our personalities go with what we play. Seven years ago we had the opportunity to play together, and we tried it out. We had everything there and we have been doing it since. The Magazine: Cool Kids is about a boy or girl who doesn’t quite fit in. It is National Bullying Awareness Month in November. Do you have any advice for the boys and girls who may feel as if they don’t fit in or are experiencing bullying? Sydney: Yeah, I mean, in general whether you are getting bullied or not it is really easy to find yourself comparing yourself to other people. Whether people telling you you are not good enough, or it’s yourself telling yourself that. You have to remember that we are in control of our thoughts and you have to choose to accept yourself and be okay with who you are. There are a lot of things that you have to accept about yourself and that will never change. Seriously, you just need to make a conscious decision to accept yourself before you get in that cycle of comparing yourself. You know, I have to make that decision everyday and it’s so easy, there are six billion people in the world, you are bound to compare yourself with somebody. With bullying and all that, I think the response is love rather than hurting yourself and hurting them. You need to love yourself and love them once you are bullied or anything like that. Even though it’s hard, the bully is going to be surprised and it will turn things around in a really special way. The Magazine: What’s up for Echosmith? Sydney: Lots of touring and lots of going to different places internationally. We will be coming back here eventually. I am not sure exactly when but lots of touring and everything is announced on our website. Everything is there. The Magazine: Any message for your Canadian fans? Sydney: We just want to say thank you and it’s really cool because we don’t get to come here too much. But, it is awesome to come here and meet the fans that we have. It is cool to go to new places and places you have never been before and have people care about you so much. I really appreciate everyone over here and we cannot wait to come back and perform a real show. Make to purchase Echosmith’s debut album Talking Dreams which features their hit Cool Kids. This was a summer to remember for Shawn Mendes. After releasing his first EP, The Shawn Mendes EP, it secured the number one spot on the iTunes’ Top Album chart within thirty-seven minutes! To top things off, Shawn’s first single “Life Of The Party” made Shawn the youngest artist to debut in the Top 25 of the Billboard Top 100 Chart. With over three million followers on Vine alone, Shawn Mendes has fans all around the world. However, this Canadian boy came back to Canada to perform at The Next Star Finale. The Magazine got the chance to sit down with Shawn to discuss preshow rituals, his advice for the winner, and getting scared by Ellen! The Magazine: How did you go about preparing for tonight’s performance? Shawn: Usually when I have big things like this to happen, it’s a weird thing, but I try not to think about it as much as I can. The more relaxed I am coming into it, the better job I will do. So I don’t really sing the song over a million of times. Well, I was also on tour all summer so I was practicing the song everyday for months so I was practicing all the time. I just try to stay very relaxed and try not to stress out about it. The Magazine: What advice do you have for the winner of The Next Star? Shawn: I think it just, the biggest thing is to stay true to yourself and stay humble. Never forget the people who helped you become who you are and get you where you are because that is the biggest thing. The Magazine: How did you get into performing on stage after you started posting covers on Vine? Shawn: It kind of just came out of nowhere. I started doing these little things called Magcon where I would do little two songs on a stage every once and a while, and we would do these meet and greets. As the months passed on, I started to do more and more performances and it just got crazier and crazier and crazier. The Magazine: You have an EP that came out this summer. You wrote three of the songs off the album, is there a certain song that you connect with the most? Shawn: Show You, I really love that song. The meaning behind it is basically to tell people that there is always going to be someone who tells you, you cannot do this. A lot of people told me I wouldn’t be able to handle the stress because I am so young for whatever. Or you can’t be the captain of your soccer team because you are too heavy, or not fast enough, whatever the reason is that people say you cannot do something, show them you can do it. It is a very empowering song and it makes me feel super uplifted and proud when I sing it. It’s cool. The Magazine: The unique thing about you is it is just you and your guitar on stage. As you continue to grow as an artist, do you hope to continue this? Shawn: One hundred percent. I would love to have a band in the future but I feel like that stripped down version of just me and the guitar feels really awesome all the time, very real. The Magazine: You have a Life On The Road series on YouTube, what can fans expect from that? Shawn: It is really cool because you really get to see the backstage footage. We are not just always hanging around, we are working our butts off all the time. It’s really nice to have my fans be able to see what I have actually been doing behind the stage. It’s really cool. The Magazine: You were recently on Ellen, how was that experience? Shawn: Oh wow, one of my dreams was to be on Ellen from before I even started singing, or even see Ellen! She is such an inspiration for me and I look up to her so much. So actually getting to meet her and actually getting to be on the show was just one of the biggest things that has ever happened to me in my career so it was really truly incredible. The Magazine: Ellen also did her famous scaring prank on you. What was it like getting scared by Ellen? Shawn: They said, “Hey can you come out? We are just going to make a quick Vine telling everyone you are going to be on Ellen tomorrow.” I said sure but they had this big camera. I was a little suspicious because they had her big camera. They told me they just take it off the camera because it looks better so I just said okay. So they were just setting me up and said I can go whenever, but there were people behind the camera and they were making noise in the middle of me talking so I thought should I stop. It was super confusing because she jumps out when I was trying to speak to people, and it looks like it was planned because I stopped talking. But she really scared me! She really scared me! The Magazine: Do you have any pre-show rituals? Shawn: Every show since the beginning of the tour I rub my tour manager’s head. I make fun of him because he is going bald so I rub his head for good luck. The Magazine: You have over 3 million followers on Vine, so you must be doing something right! What goes into making a great Vine? Shawn: Be yourself on Vine. I despise when people act like different people. Don’t act like something you are not. If you are truly funny and you just post videos of what you think is funny, people are going to connect with you. If you are talented and you post videos of what you like to sing, people are going to connect with you. When you have the reality in your videos, it makes a big difference. Be yourself, it’s the best way to do it. The Magazine: Earlier in the summer you were on tour with Austin Mahone. We were there at the Toronto show, and we can honestly say that the fans went crazy! What was that experience like? Shawn: It was surreal. Every time I walked on the stage it was a totally surreal feeling that I cannot even explain. It’s hard to explain. The Magazine: What’s next for you? Shawn: The album! I am working on the album all week next week, so hopefully we have a full LP coming soon. It is going to be very similar to the EP, but we also have some very, really sort of big boom songs. Something big is definitely coming your way. The Magazine: Message for you Canadian fans? Shawn: I love you! Thank you guys for all your support! Shawn will be going on this first headline tour this year! Catch Shawn at his only Canadian stop in Toronto on November 30th at The Danforth Music Hall in Toronto. Tickets go on sale this Saturday. The first fifty fans will win an exclusive free meet and greet with Shawn. For more information about how you can get tickets, click here. Sunday September 21st marked the finale of The Next Star! Wrapping up another great season, the finale featured performances by the Top 6, performances by recording artists Shawn Mendes and Echosmith, and of course the crowning the winner of The Next Star Season 7! Over the season, Canada got the chance to watch Ryland, Jory, Nissita, Kaleia, Michaelah, and Shon grow as artists and release their first singles (within the show) and music videos, but in the end only one would earn the title of The Next Star. After watching each of the Top 6 lay it all out on The Next Star stage, it was Jory who Canada voted as The Next Star. 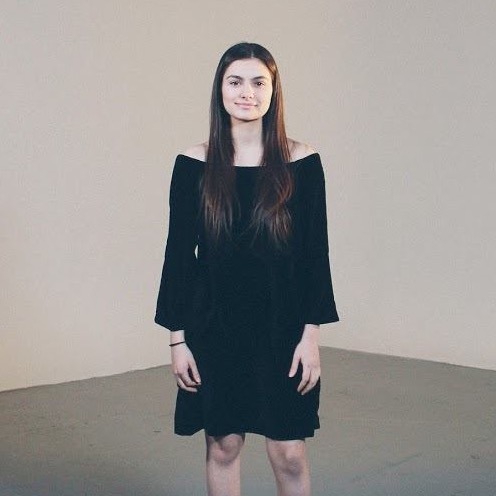 Fifteen-year-old Jory from Nipigon, Ontario, used her smooth and powerful sound to win Canadians over. The Magazine got the chance to talk to Jory about her The Next Star experience, and how she celebrated winning. The Magazine: Congratulations on winning The Next Star! How are you feeling right now? Jory: I am feeling so energized and so overwhelmed and amazing. This is such an amazing feeling! The Magazine: What did you do after the show last night? Jory: All the Top 6 and our families got together and ate pizza. We hung out, and said our goodbyes. The Magazine: What was going through your mind last night just before they announced the winner? Jory: I was literally just thinking about everybody else and thinking about how amazing it would be if any of us had won. Honestly, every single person was so talented and deserved it just as much. The Magazine: How did you prepare for the performance last night? Jory: I was practicing as much as I could even process. I was practicing a lot because I wanted it to be good because it was my last performance on The Next Star stage. It had to be on point. We were working together on our group song, so we were rehearsing in the hotel. We were all working together and were really supportive of each other. The Magazine: How do you feel you have grown since your audition? Jory: My stage presence has got a lot better. I used to be really stiff. I feel like now that I have been on stage so much and I have been in front of all these people, I feel like I have loosened up a bit and have got a whole lot more comfortable on stage. It has been easier for me and less nerve-racking. The Magazine: Do you have any advice for the youth thinking about auditioning for The Next Star? Jory: Yeah, definitely to practice your song before you get in there. That’s the judges and everyone’s first impression of you so it should leave a lasting impression and be perfect. Also, have fun. The whole point of The Next Star is to have fun and learn from the experience. The Magazine: What was it like recording your single and music video for the show? Jory: It was really the most overwhelming amazing thing that you can ever experience. Recording that single with Rob Wells who was my producer was so amazing. He is such an amazing producer and he did so well. Doing my music video with Evan Winter was so amazing. I have never been the star of a music video. It was new for me but he just made me feel so comfortable. The Magazine: You had some amazing stars on the show this season! Was there anyone who got a little starstruck over? Jory: I was definitely starstruck over Shawn just because he is so young, and so talented. All of the stars were great. Also, Echosmith. I have been a fan of their music for so long. Also being around people who are in the industry was a prize in itself to be able to spend time with them. The Magazine: How was it sharing the stage with Shawn Mendes and Echosmith? Jory: It was very overwhelming and at the same time it helped because they are here performing at my show, and I am not here performing at their show. You know? It was kind of one of those feelings like they are here for me and the Top 6. These people are so big and they are here to perform for our show. It was just an amazing feeling to know that. The Magazine: You and the Top 6 seemed very close! How was it spending time throughout this journey with them? Jory: It was the most amazing time I have ever had. We are all best friends. They are the best friends I ever had. Seeing them go was sad but we know we are going to see each other again. We are planning visits already and it hasn’t been a day. We just all love each other and its so amazing being on this journey with people you love. The Magazine: Demi Lovato is one of your inspirations; she is a very strong believer in being yourself and has gone through some hard times. It is almost National Bullying Awareness Month, do you have any advice for people who may be experiencing bullying? Jory: Definitely. I have experienced this as well. The best advice I have for people going through this is tell an adult. It’s one of those things that you shouldn’t have to go through alone. It is heart breaking to know that people have to go through that so I really think you should tell somebody you trust. The Magazine: What was it like being in Toronto during your time at The Next Star? Jory: I absolutely love Toronto. I would move here if I could. It was so amazing to spend time in a big city instead of a small town and it was so new for me. I really loved being in Toronto and being surrounded by all these people who have been in the business and have lived here. The Magazine: What has been the best piece of advice you have been given while on the show? Jory: The best piece of advice was just to break out of your shell and not be afraid to be yourself. Don’t hold back anything because you are here because you should be and because you deserve it. The Magazine: How was it hearing after your performance, Dan saying even though he was hard on you this season, he was so proud and amazed by your performance? Jory: It was so amazing to hear that from somebody who has been in the business and who was worked with Justin Bieber and people like that. Just to know he believed in me was just the most amazing feeling. The Magazine: Anything you want to say to your supporters? Jory: I love you and I thank you for voting for me. You are the most amazing people. Congratulations again to Jory, and all of the Top 6! It was a another great season of YTV’s The Next Star. Make sure to check out Jory’s and all the rest of the finale performances on The Next Star’s Youtube Channel. Welcome, my name is Alexandria and this is my blog that features a little bit of everything. Who wore it better? Alexandria vs The Smurfs. THE NEXT STEP – Season 2 Episode 31 Recap! THE NEXT STEP – Season 2 Episode 30 Recap!